As a kid, virtual reality seemed like an impossibility. A concept so far forward in terms of technology that I was highly unlikely to experience it within my lifetime. At that age, if I’d been told I’d be experiencing VR only 10-15 years later, I wouldn’t have believed you. But now, having had my first hands on with VR with a game called The Assembly, I feel sure that there is a huge future ahead for the platform. It blew my mind – there is no other way to say it. Not only the experience of VR, but the graphical fidelity and sheer realism I saw in nDreams’ The Assembly. I’ve watched YouTube videos of VR titles that barely look more realistic than a SEGA Saturn title, so having my first VR experience possess realistic surroundings only added to my enchantment. Of the two demo levels I was allowed to play through, the first opened in an orange-sand desert, similar to the sprawls of Utah. Being quite unstable with the entire concept of being able to look around me by turning my head in video games, I was instructed (yes, instructed) to look to my right and left. Towering orange cliffs of rock and a vast expanse of desert filled my vision. The handle of the cart I was sitting on looked so realistic, stained with rust and warped with weld marks, that I felt I could reach out and grab onto it. As the buggy began to move, I instinctively raised my hand to grab on the railings of either side: only to remember they didn’t exist. It took a minute to get used to the sensation of being inside the game, and having the ability to manipulate my viewpoint using my head. Hijacking the perspective of two characters, The Assembly aims to deliver a story-led adventure which delves deep into the history of a mysterious organisation hidden from the world, which has been experimenting outside the constraints of government scrutiny and society’s morals. I played as a female character (completely immobile to allow players unfamiliar with VR to get used to the experience) as she was wheeled into a science facility hidden in the middle of the desert. My instructions were simple enough: listen to the dialogue, take in the settings, and become the character. The latter of the instructions was easier than you would think. 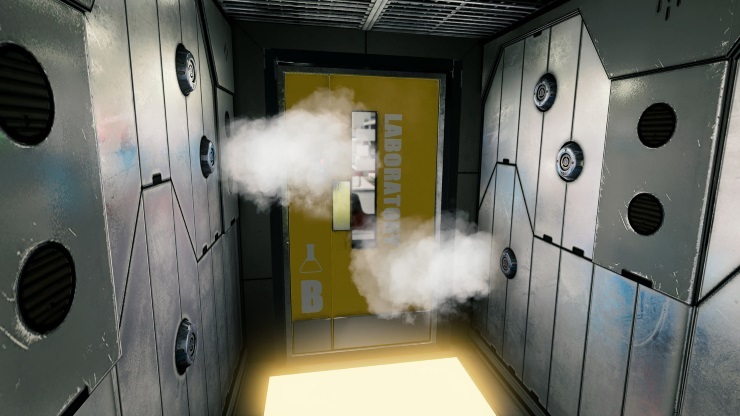 Because of the immediate immersion factor, virtual reality doesn’t have to graft as much to make the player feel connected to the characters. Taking on their perspective and seeing through their eyes instantly grants that sense of synergy that non-VR games take a lot longer to build and provide, if they even provide it at all. It’s a completely unique experience, and the connection feels universal: with non-VR titles, it easy enough to be distracted and break contact with the screen but with virtual reality, it’s impossible to disconnect at any given moment. As I was wheeled into the science facility, down long corridors and through quarantine zones, my sense of wonderment only grew. The chair I was sitting on felt as thought it was moving, as though I was actually being pushed around. The dialogue between the scientist behind me and the characters in my immediate surroundings felt instantly believable: it felt as though they were all present in the room around me. 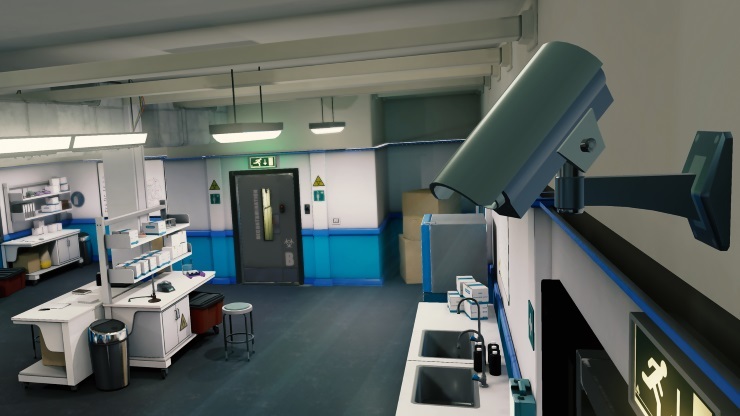 The second level of the demo gave me control over the male character as he performs routine tasks around a science lab. After some wonky navigation, as I wasn’t used to head-hand co-ordination, I wandered freely around the facility, picking up plot points and performing tasks which provided some helpful back-story. The premise is just right: it feels futuristic, but doesn’t go as far as feeling unrealistic. It was a world I felt that I fit into, as a player and as a character, and the connection between character and world allows the title to feel well thought out. 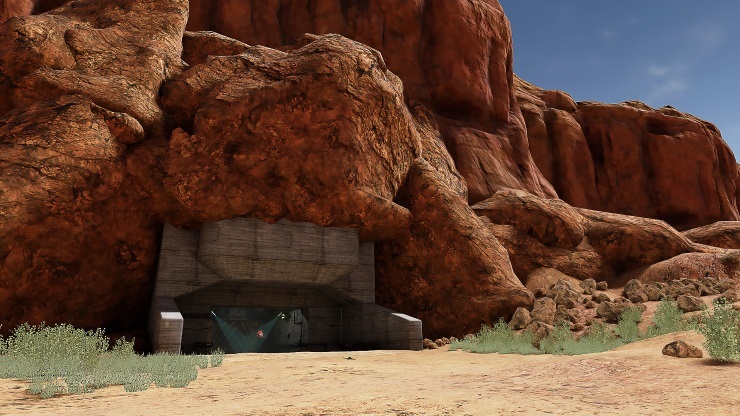 If this connection continues into the full release, it will be a cementing factor which will enhance the story-led gameplay and ultimately increase player immersion. Right now, I wish I could play The Assembly again. I feel as though I would have picked up on a lot more had I not been a VR newcomer, with my sense of amazement clouding my vision on the deeper elements of the game. From what I did perceive, nDreams have created a beautifully realistic world – one which will force me to question my use of “realistic” in the future. Its dual perspective gameplay feels like it will deliver two wholly unique experiences, especially with the level of player-character connection VR provides. As for the game’s genre, a story-led adventure sounds like a home-run on virtual reality. The mere thought of exploring a fully realised world laced with an intricate and shadowy plot excites me no end, with smooth gameplay and a calm yet immersive atmosphere making it a promising launch title for VR headsets and a likely hit with VR virgins looking to ease themselves into an enthralling new era of gaming. 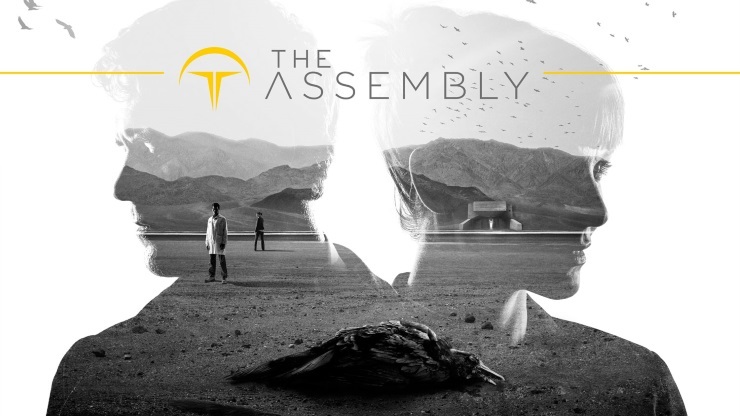 The Assembly is aiming to be a launch title for Sony’s Project Morpheus, Oculus Rift and HTC Vive. Many thanks to the team at nDreams for setting me up with my first VR experience and a hands-on with their title.